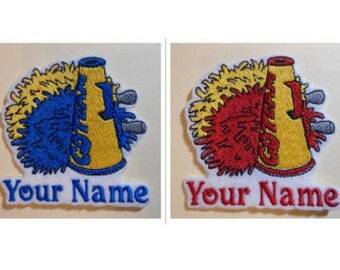 * You can customize the applique patch with your 3 initials, letter thread color and outline border thread color. You can apply to clothing, backpacks, towels, blankets, purses, hats, diaper bags, tote bags, luggage, Christmas stockings and more. 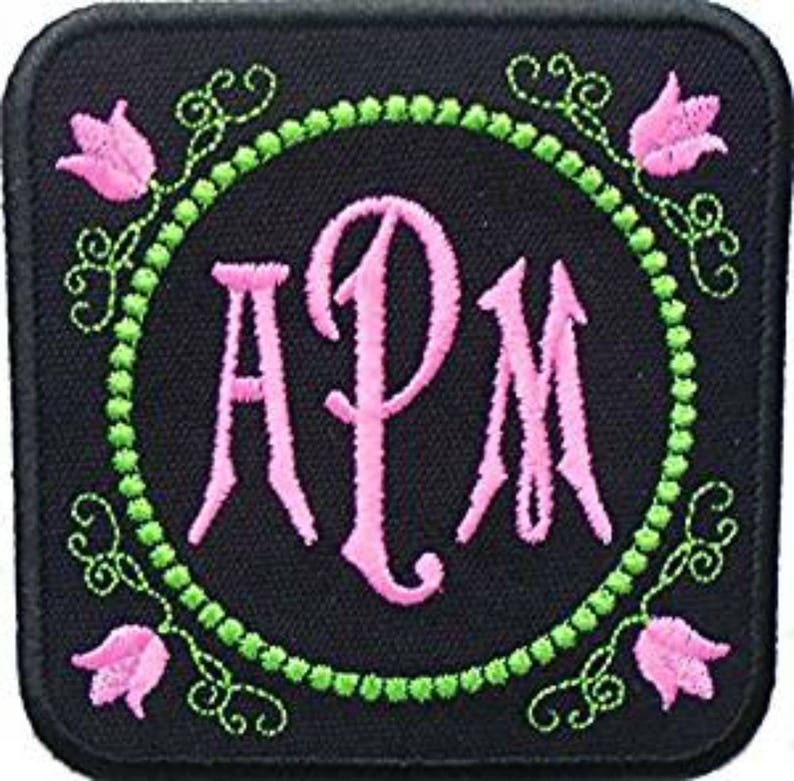 * The patch is an iron on but if you plan to wash the item a lot you might want to also sew the patch on after ironing it on for longer lasting results. 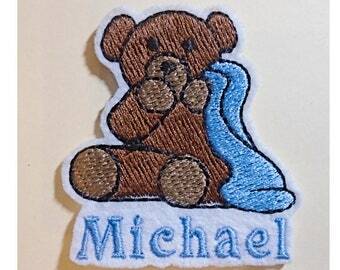 * Patch size is 4"X4". 1. The initials for embroidery. 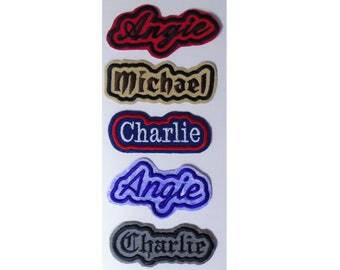 Type initials in this order 1. first name 2. LAST NAME (center big letter) 3. middle name.